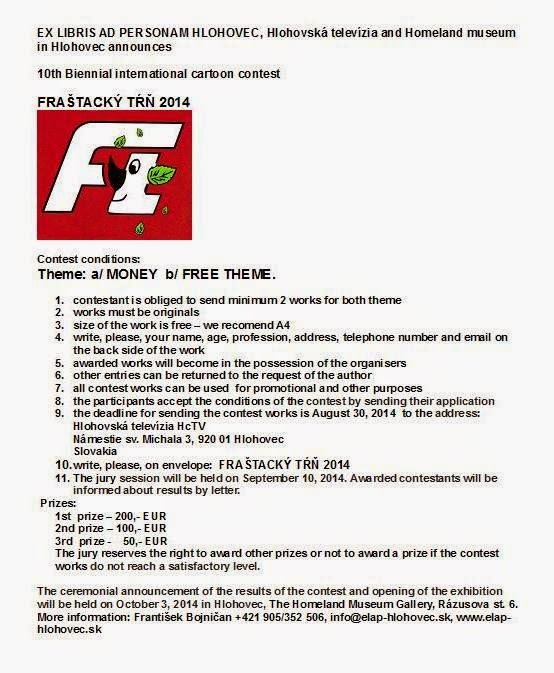 OPEN COMPETITION FOR THE 10. INTERNATIONAL COMICS AND CARTOON FESTİVAL 2014. - The Kosovo Comic Book Artists Association "Xhennet Comics" is organizing the 10th Internacional Comics and Cartoon Festival. - The Festival will be held from 06 until 09 September 2014 on the Gallery "Hamam" in Prizren KOSOVO. - The Festival is not going to be competitive; however 25 foreign and 10 kosovar artists will be selected from the jury to have the expenses of travel and hotel accommodation covered for 3 days. - All the participants of the festival will be delivered with The Catalogue, T-shirts with Festival logo, and The Certificate of Gratitude. Those absent will receive the catalogue via e-mail, PDF file or they can download from the official website of the association. 4. Comics and Cartoons should be from 1 to 4 pages (A3 or A4 format). 6. Required details to be sent with the works are: Name, Surname, A short biography, Country, Address, E-mail, and A Photo. ( Attention without of these informations the works will not be taken to consideration ). The event is a part of the 14th edition of Deva anual Humor Festival Liviu Oros. c. Portraits of the CRISAN Publishing House founder - Horia CRISAN. d. Cartoons with our mascot LULI and ideas for a new logo design. Note: The cartoons sent until now to the HumoDEVA 2013 Special will participate at this section. 2. The 8th HumoDEVA INTERNATIONAL CARTOON CONTEST is an open competition for cartoonists all over the world. The participation is free of charge. For all the cartoonists accepted in the contest, the drawings will be displayed FREE OF CHARGE on HumoDEVA’s site. 3. You can submit max 3 works, made in 2013, for FREE THEME and max 3 works for THEME SECTION. The Deadline for sending works, only by e-mail, is April 28 2014 at the e-mail address humodeva@gmail.com . 4. The works must be digitized in 300 DPI resolution, RGB color mode, in JPG format, with the maximum limit of 5 MB. Works should be accompanied by the author’s photo or caricature and a short biography in English, including date of birth, education, profession, citizenship, awards, publications and exhibitions. 6. The contest results will be announced on the HumoDEVA 2014 web site. The prizes can be paid in Deva or can be posted to the cost of the receiver. The organizer does not assume any liability regarding taxes or bank charges. The original drawings of the prize winning entries should be sent in maximum two weeks from the results announcement, well wrapped and protected against damages. The mail adress for sending winning originals is: CRISAN Publishing House, Mihai Viteazu bl 47, ap 1, 330.091 Deva, jud. HD, ROMANIA. 7. All selected cartoonists will get, free of charge, a full-color Catalogue of the 2014 HumoDEVA INTERNATIONAL CARTOON CONTEST in PDF format. 8. The participation in HumoDEVA means automatically that the author is waving copyrights of his works in any kind of support, concerning the production and diffusion of the contest. 9. For further information: phone 0040-721328855, e-mail: humodeva@gmail.com . 10. By submitting the works to The HumoDÆVA INTERNATIONAL CARTOON CONTEST, the artists accept the decisions of the Jury and the rules printed above. The HumoDEVA INTERNATIONAL CARTOON CONTEST – Deva, Romania. GOLDEN HELMET ANNOUNCES XXIII CONTEST TITLED "CHANGES"
Jury decision will be announced on 05.02. 2015. Awards will be handed at Final Festival Evening on April 1, 2015. The Organizer will bear travel and accommodation cost of awarded authors. Festival official langauges are Serbian and English. Results 46th International Exhibition Umoristi A Marostica 2014 with theme "Rights"
Sister and Friend Cities of Izmir gather around the International Cartoon Competition. The competition is to be organized in order to contribute to the friendship of communities with the creative power of culture and art as well as strengthen friendship ties between cities. The theme of the competition, which will be held for the first time this year, is determined as “Children and International Peace” and the results will be announced on the 1st of September 2014, the World Peace Day. Today, thousands of children lose their lives and are forced to leave their home lands due to wars. They become disabled, suffer from psychological problems and they are abused. In wars, mostly children die first and for those who survive; they don’t smile anymore since their dreams, hopes and future are taken away from them. Every child has the right to grow up in peace regardless of their color, language, religion and ethnic origin. Ensuring this is the joint responsibility of humanity. 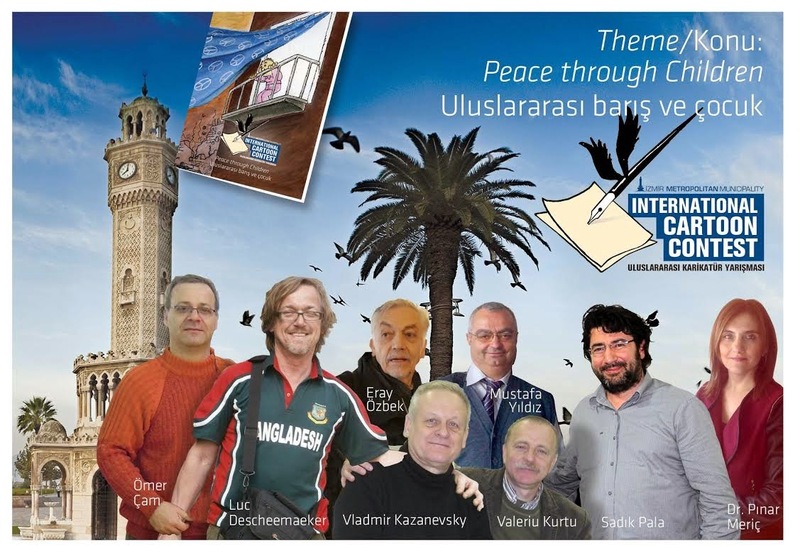 With this consciousness, Izmir Metropolitan Municipality would like to invite the cartoonists living in our sister and friend cities to participate in the competition; we believe that their works will increase the sensibility and awareness for peace. • The International Cartoon Competition with the theme of “Children and International Peace” organized by Izmir Metropolitan Municipality is open to all cartoonists. • Competitors who are under the age of 18 must participate in the competition with the permission of their parents. A document, which shows the acceptance of the conditions, must be signed by the parents and submitted to the Organizing Committee. • Each competitor is allowed to participate in the competition with maximum 5 cartoons. The cartoons that will be sent to the competition may have been published previously; but had not been awarded from a competition. The cartoons that are found out to be rewarded before will be disqualified and the prize will be taken away. • Participants who send cartoons to the competition are considered to have declared and committed that these works belong to themselves. Izmir Metropolitan Municipality does not accept any responsibility for permission and copyrights about the participants’ cartoons. • The cartoons can be used on different platforms (brochure, exhibition, periodicals, calendar, etc.) with the artist's name by Izmir Metropolitan Municipality. Participants are considered to have accepted these conditions beforehand. • Transportation and accommodation expenses of the winners will not be covered by Izmir Metropolitan Municipality. The prizes of the winners who could not attend the award ceremony will be deposited to their bank accounts. • The cartoons which are found to be the most creative by the jury will be exhibited and will be put into an album. The cartoonists of all the exhibited cartoons will be offered or sent the album after the award ceremony. • The cartoons that do not comply with the terms and conditions of the competition will be cancelled and disqualified from the competition. • Applications will be sent via internet. Participants must fill in the application form on www.izmir.bel.tr/cartoon/en and click on the “Cartoon Competition” to upload their cartoons. 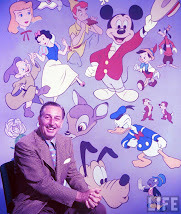 • The cartoons must be sent in A4 size (21cmx29.7cm) RGB color, 300 DPI resolution and JPG format. Any compressor programs such as ZIP or RAR cannot be used. El Peru wears joy, creativity and art with the completion of the VII International Exhibition of Graphic Humor Lima 2014. This event brings together representatives of different global gag cartoon, as in previous editions, raise awareness in society about the care of the environment through graphic works. The theme for this year is CLIMATE CHANGE. The opening of the international quality event will take place Thursday, September 4 with the traveling exhibition of the different graphic pieces. This exhibition will cover the most representative areas of the Peruvian capital and later cities within the country. In addition, all the artists whose works are selected for the sample receive by post our official catalog, in which the various works forming part of the exhibition will be found. The success of the International Exhibition of Graphic Humor, considered one of the most important art events in Latin America, is up to you. 1. The artist who wishes to participate in the VII International Exhibition of Graphic Humor Lima 2014 shall send to the organizers their personal details (full name, address, contact number, e-address) accompanied by his work, a brief autobiographical note and photography and/or caricature. 2. 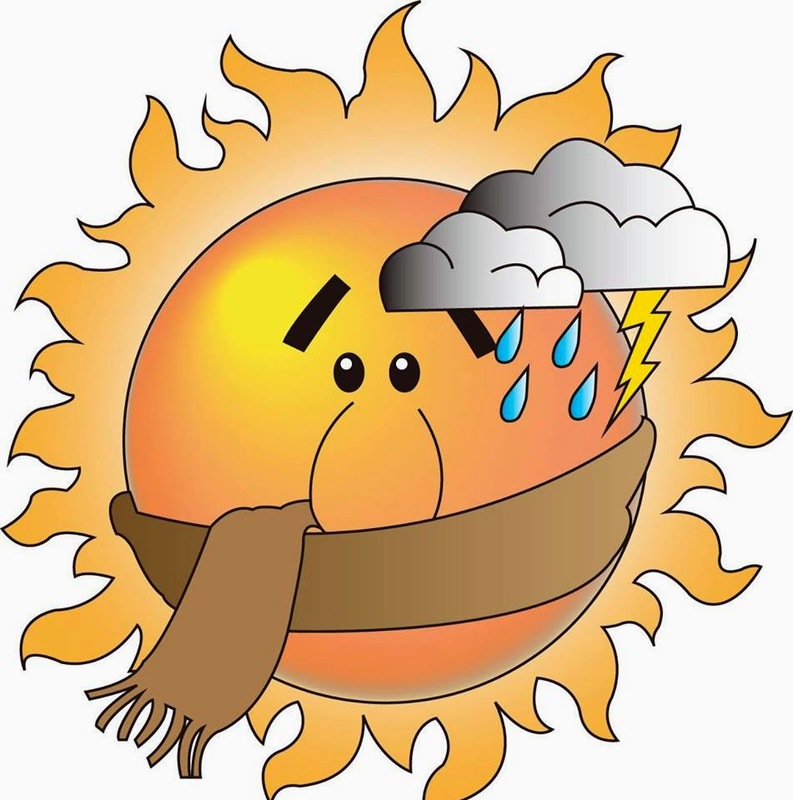 Contestants must adhere to the chosen theme for this sixth edition: “Climate Change”. 3. The artist may submit two works from his personal archives. These may have been published and/or previously awarded. 4. The work must have a resolution of at least 300 dpi and a minimum size of A4 (30 X 21 cm). 5. The works, along with the required data must only be sent to official e‐mail: salonhumorperu@salonhumorperu.com . 6. The closing date is 30 June 2014. 7. The works received passing selection form the exhibition which is scheduled for Thursday, September 4, 2014. 8. The artists whose works are selected will receive a copy of the Official Catalogue of Humor, which has published the different jobs received. 9. The artist allows the organizers to use his work for advertising pieces the Chart Show Humor required to promote the event (posters, t-shirts, press releases, etc.). 10. Upon registration, the artist accepts all the conditions laid down in the rules of the competition for the VII International Exhibition of Humor Graphic. 1.The contest is free for all cartoonists. 2.Caricatures to be sent to this contest may be published anywhere else before. But they must not become entitled to receive any awards in another contest. 3.Technique is free. 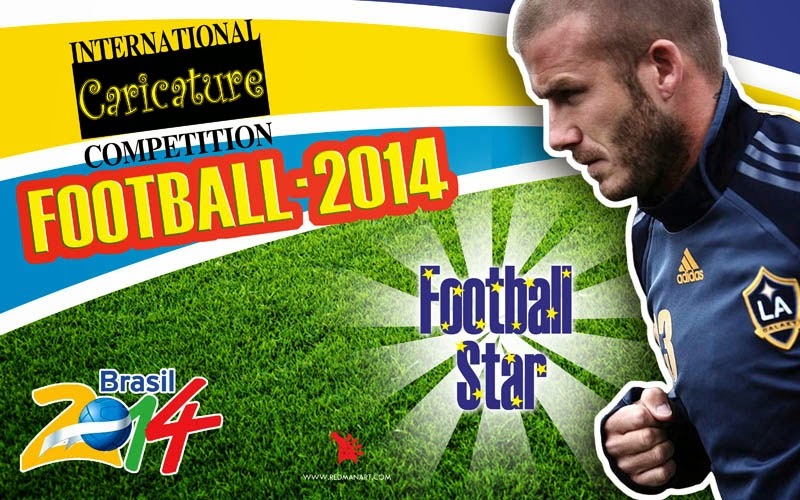 A cartoonist may join this contest with a large number of caricatures as he / she wishes. But works must be original. Digital printing products may be accepted provided that they are signed (original signature) by cartoonist. 4.Maximum dimension of caricatures to be sent for this contest must be 30×40 cm. 5.Participants to this contest must write their name, surname, address, e-mail, country and telephone number behind their work and must put a short curriculum vitae in a develop. 7.Contest results will be announced on 28 May 2014. 8.Caricatures to be sent for contest shall not be returned. Caricatures ranking or not ranking in contest may be used for cultural purposes or published. Participants to this contest are deemed to have been accepted these conditions. Works will be kept in Turhan Selçuk Karikatürlü Ev. 9.Owners of works to be selected by jury, to be exhibited and included in album shall be sent a contest album. 10. Award ceremony will be carried out on 16 August 2014. 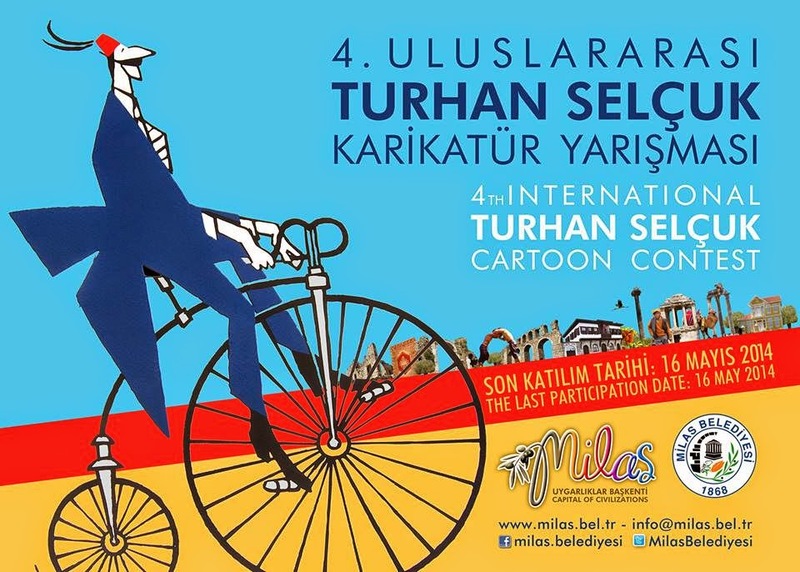 Also with the purpose of exhibition of caricatures which were seen worth-exhibiting and won a prize on that very date, an opening ceremony will be performed in Turhan Selçuk Karikatürlü Ev. 11.Meals and accommodation expenses of special prize winners shall be covered. Travel expenses belong to them. Other special prizes will be given by various institutions, associations, newspapers, art magazines, trade unions, agencies and real persons. Note: A jury meeting will be held on May 24, 2014. The organizers of the INTERNATIONAL CARTOON COMPETITION are Estonian Humour Union, humour magazine Pilkaja (Mocker), Tallinn Old Town Days XXXIII and Tallinn Central City Government. Entries: A maximum of 5 entries can be submitted, works must be free from politics and without words, digitally at least 3500x2400 px (A4, 300 dpi), JPG. The work may have been previously published. Information: Author's first and last name, title (if applicable), year of creation, e-mail. Entry deadline is the 5th of May 2014. Prizes: nominal gold, silver and bronze trophy pencils (size 30 cm) and diploma. Other conditions: The prize-winning works become the property of the organizer. 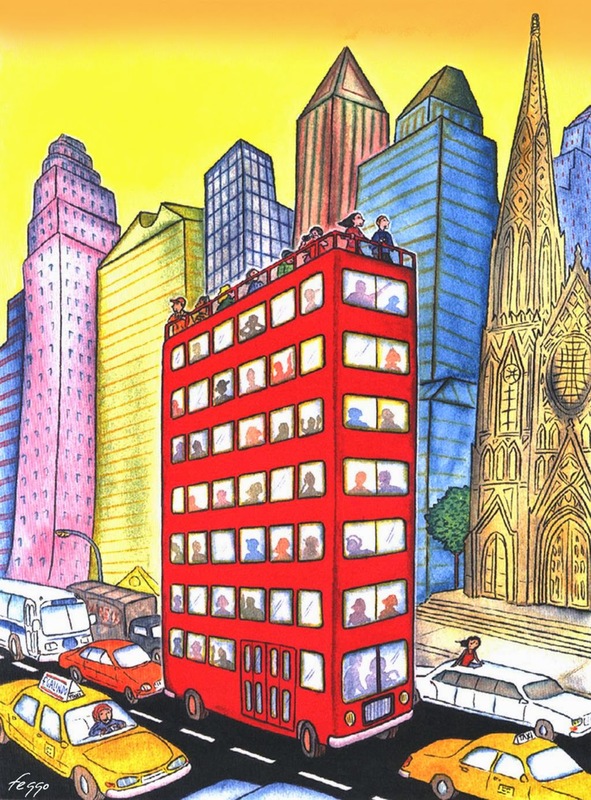 All works may be published in humor magazine Pilkaja without additional fees. All participants get a free digital catalog of the exhibition. Exhibition will take place in: Kiek in de Kök tower, Tallinn, Estonia. The exhibition will open in May 23, 2014. 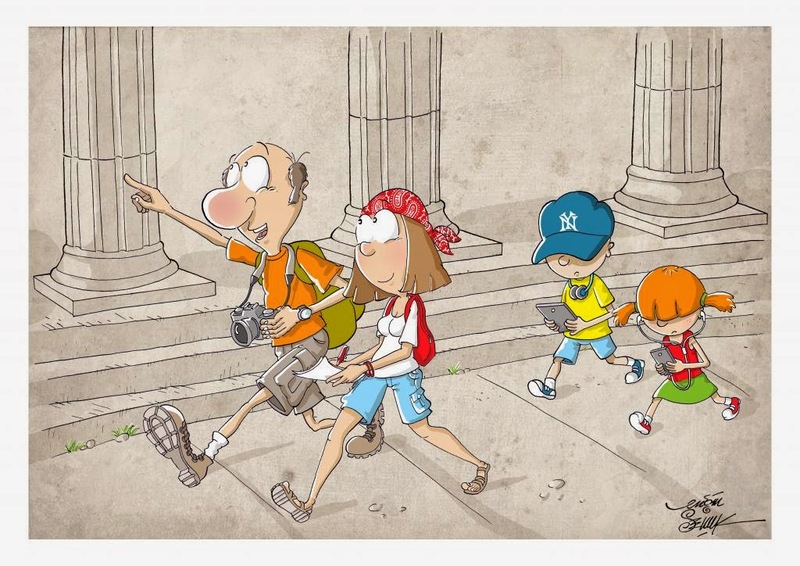 The aim of the International 7-77 Cartoon Competition during the festival is to make children - the adults of tomorrow - love cartooning, to contribute to the development of their awareness of humour and to enrich their world with cartoons. 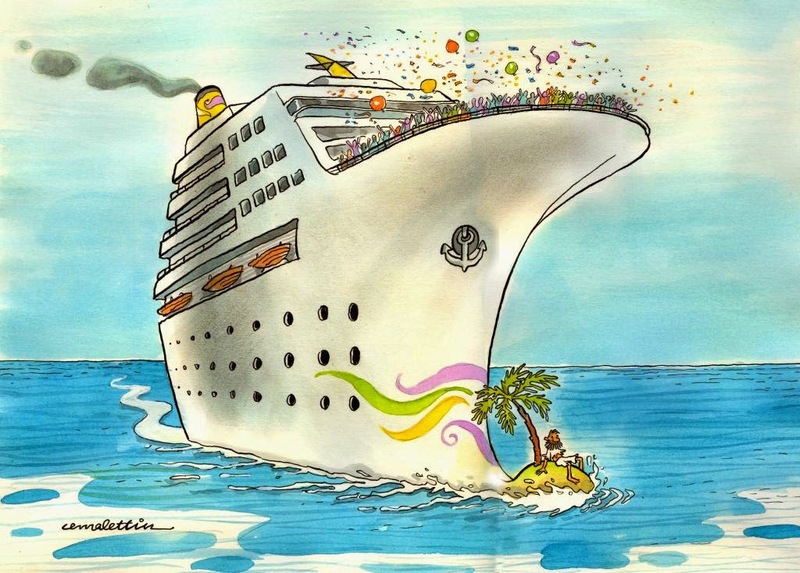 For the competition, 922 cartoons have been drawn and sent for children by the master cartoonists from 73 countries. 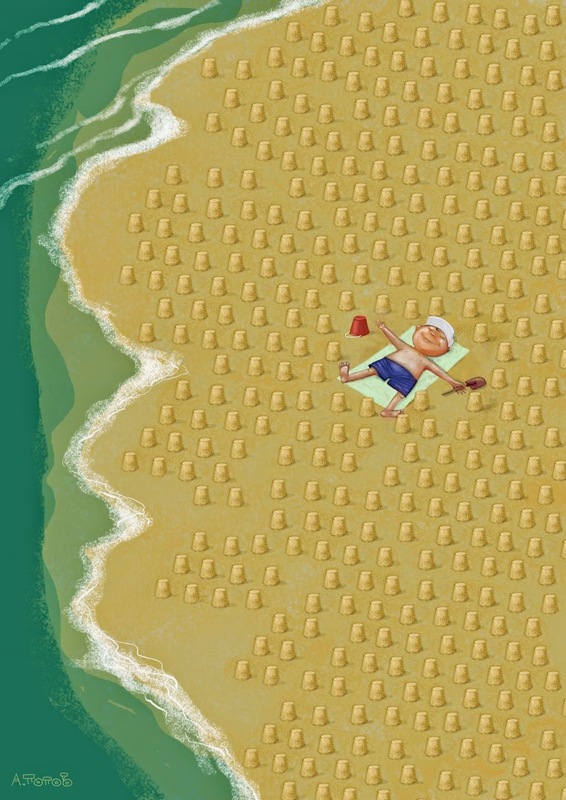 The cartoon by Oleksy Kustovsky (Ukraine) has been chosen as eligible for the award of 1000 Euro by the jury composed of cartoonists Tan Oral, Kiyarash Zandi (Iran), İzel Rozental, Kamil Masaracı, Prof. Dr. Efser Kerimoğlu (Psikiyatrist), Muhammet Şengöz and Nezih Danyal. The 2014 FIFA World Cup will be the 20th FIFA World Cup, an international men's football tournament, that is scheduled to take place in Brazil from 12 June to 13 July 2014. It will be the second time that Brazil has hosted the competition, the previous being in 1950. Brazil was elected unchallenged as host nation in 2007 after the international football federation, FIFA, decreed that the tournament would be staged in South America for the first time since 1978 in Argentina, and the fifth time overall. With the host country, all world champion teams since the first World Cup in 1930 (Uruguay, Italy, Germany, England, Argentina, France and Spain) have qualified for this competition. Spain is the defending champion, having defeated the Netherlands 1–0 in the 2010 World Cup final to win its first World title. The previous four World Cups staged in South America were all won by South American teams. 3. The maximum 7 entries should be submitted for each category. 8. Deadline: August 15 , 2014. 9. The jury meeting will be held on October, 2014. 13. Explicitly participators have whole copyright for their entries, of course. Host unit may use some works on web site and other media for spreading competition and artists. Telephone: 0086 – 010 – 1 8 9 1 0 8 3 8 2 1 0 . Number of entries: max. 3 works in the A4 format. Cartoons for the competition will be submitted in data files, JPG format, 300 DPI and maximum size of 1,5 MB. The works that have been awarded in the past cannot be accepted. To see the homepage of the competition, please go to: www.humorest.cz To join the competition, you have to fill the application form on the website and attach your cartoons in the above specified format. The cartoons will automatically be named in a prescribed manner on reception of the application form and the receipt of your cartoons will be confirmed by e-mail. 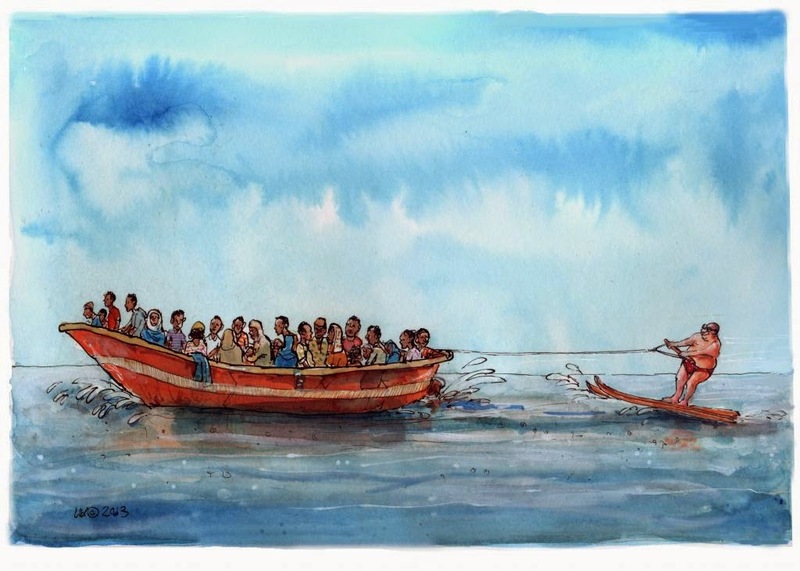 The selected cartoons will be exhibited in the Central Library at the Museum of East Bohemia in Hradec Králové, Wonkova Street 1262/1a. The best cartoons will be featured in the catalogue that will be sent for free to all selected authors. The others may order the catalogue at price of 10 € by mailing to: info@humorest.cz. 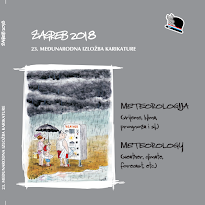 The catalogue will be published in PDF format too and available for download at the homepage www.humorest.cz after October 2, 2014, which is the the day of the opening ceremony. The Material Award of the City Mayor. The duration of the exhibiton: until November 21, 2014. All participants agree that their works may be used by the organisers for promotion of the Humorest 2014, published in the catalogue, in the media and on the Humorest homepage or at any other website providing information about cartoons. All participants waive those rights without claiming any payment. 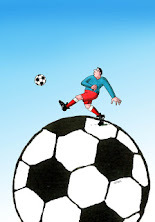 The authors accept these entry conditions by submitting their cartoons into the competition. The Czech Union of Cartoonists and FECO, Czech Republic. 7th Edition International Prize in Humour and Satire “Novello: A Gentleman of Good Family"
The competition for the 7th Edition of the International Prize in Humour and Satire “Novello: A Gentleman of Good Family", is launched by the City of Codogno with the support of public and private institutions. Participation is open to professional and amateur graphic artists, who can take part in the competition by sending unpublished drawings. An unpublished work is considered as such when not published on web sites, catalogues, magazines, newspapers, books, and TV programmes, or exhibited in no kind of art exhibitions.. In 2015, the Expo will address the theme of food in every facet. Therefore Authors are invited to illustrate all aspects related to food, through graphic art: that is to say quality, a fair redistribution of resources, the problem of Hunger and Thirst in the world, research and technology applied to food, styles life and rediscovery of the culinary traditions of the countries, as well as all other aspects related to food that can be graphically represented by a humorous drawing. The drawings must be submitted in electronic format by loading into the Application Form available on the website www.premionovello.it, no later than June 3, 2014 (EXTENDED:) June 16, 2014. Author's last name and title of the work must also be mentioned in the Application Form. No other forms of presentation are allowed. The work must correspond to the grounding spirit of the Award, which consists of Humour and Satire. Therefore works of political satire or drawings that may transgress the laws of common human decency will not be accepted. The work must be unpublished, and may be accomplished by using all techniques, in black and white or colours, and may either contain text or not. The works will be judged by a jury formed by sorting cartoonists, journalists and personalities from the world of culture and entertainment. 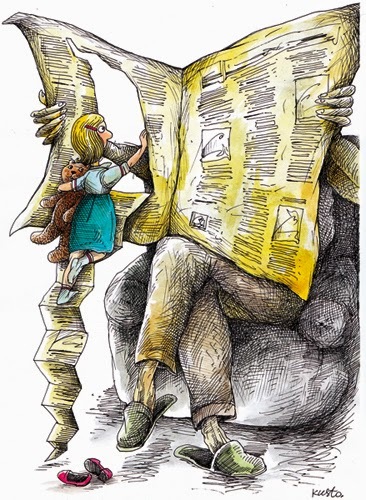 The best ones will be displayed in the exhibition of the International Prize in Humour and Satire that will be held in the month of October 2014, in the premises of the historic building "Soave Old Hospital", located in Viale Gandolfi, 6 – 26845 Codogno. 2nd Rank - EUR 1,000.00. The winners will be requested to integrate their applications with the production of personal identification documents. 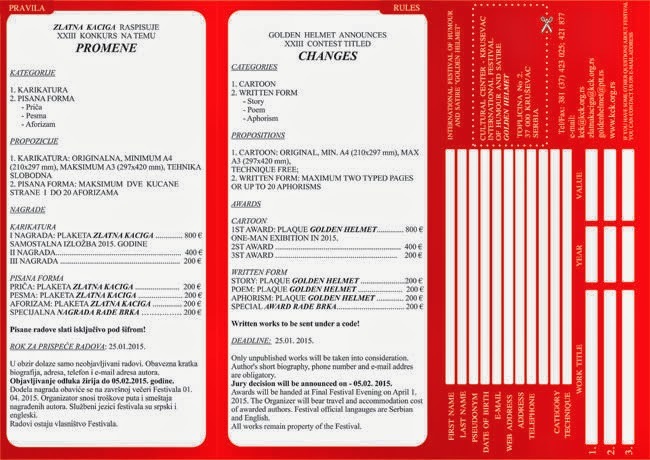 The works received become part of the general Archive of the Prize, and may be used for promotional purposes of the Prize or the cultural activities of the City of Codogno in every public and private means of communication: magazines, newspapers, books, TV, or web sites, in Italy or abroad. Therefore, the competitors are requested to consent to the reproduction of their work as long as this is not for profit. On 16th April, 2014 will be 125 years since the birth of Charlie Chaplin and 100 years since the beginning of his film career. The House of Humour and Satire celebrates these remarkable anniversaries staging a thematic evening event dedicated to the life and the work of the inimitable comic actor. The event will open on 10th April, 2014 at 5.30 p.m. 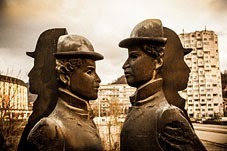 It is a fact that the town of Gabrovo boasts the one and only in Bulgaria monument to Charlie Chaplin sculped by Academician Georgi Chapkanov in 1983. The programme of the evening event encompasses a presentation of little known data and incidents in the actor's life and the numberless monuments all over the world raised by his fans; fragments of popular silent films starring Charlie Chaplin; an exhibition of works from the Humour of the Peoples art collection that feature different images of Chaplin's, as well as an exhibition of the results of a photo competition under the heading Charlie and I in Gabrovo organized by the Museum HOUSE OF HUMOUR AND SATIRE. -Second Prize: $ 750, Honorable Mention and Trophy. -Third Prize: $ 500, Honorable Mention and Trophy. The main topic of the competition is Palestine; the purpose of the cartoon must be related to the Palestinian Cause affair. Cartoonists, may participate in Cartoon which are talking about topics such as freedom, anti-occupation, the right of return, anti- aggression of Israel, the Israeli siege, the people’s right to resist occupation, promote a culture of resilience, anti-organized terrorism practiced by states, the supporting of occupation by U.S. and western states, Palestinian people’s suffering from the occupation, Palestinians’ suffering in asylum, Palestinian prisoners’ suffering in Israeli jails, racial discrimination suffered by Palestinians under the rule of Israel, Israel as a religious country....etc. The topic participation of the cartoon may also be involved in internal Palestinian topics such as the differences between the Palestinian factions. 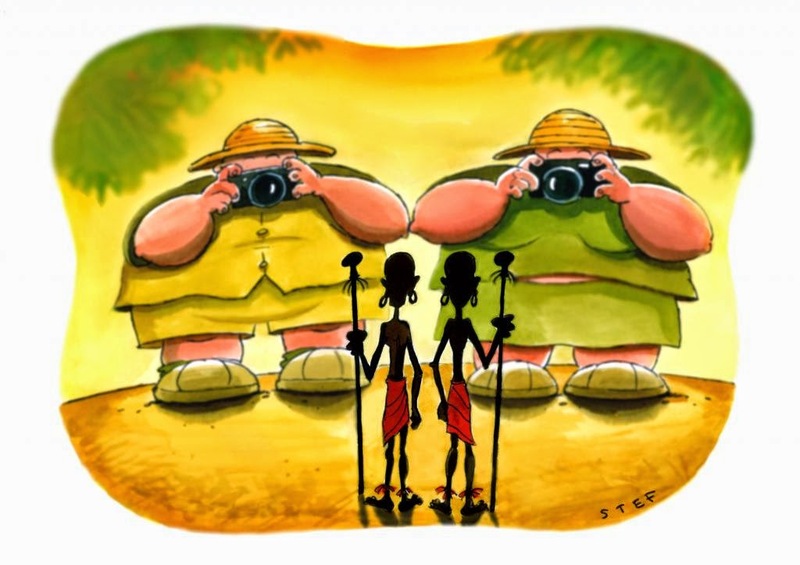 Participation is open for all professional cartoonists from all over the world. The Drawing size must be A3 or A4. The drawing can be done either manually or by using computer techniques. The participated drawings is limited at a maximum of five. The joint works are not accepted. The work should be done solely. The cartoons could participate whether where published or unpublished. The participated cartoon shouldn’t win any prize before. 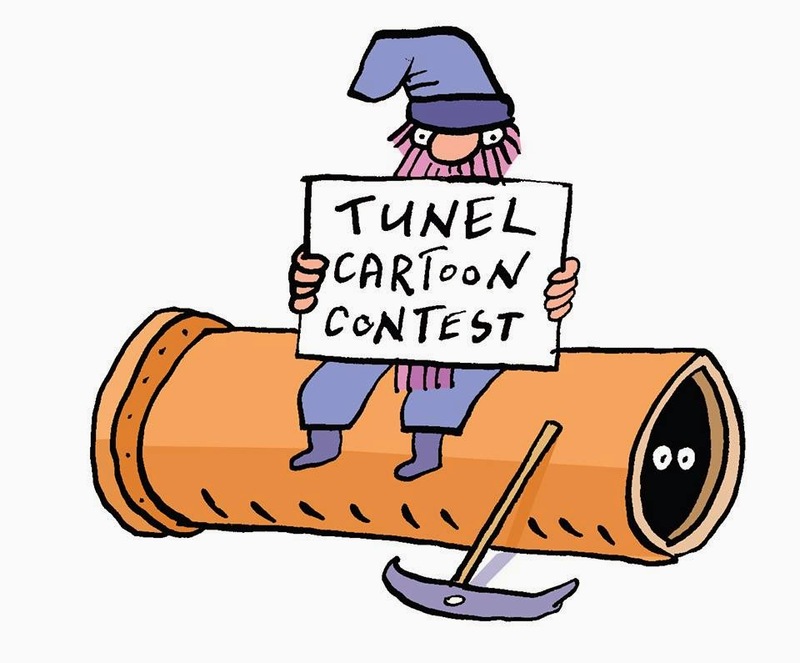 The cartoonist who won the contest shouldn’t participate again after at least three sessions. 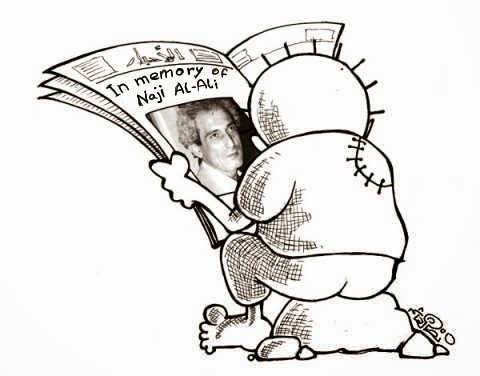 The organizers of the competition, Al-bayyara Cultural Association and Palestine International Institute have the right to use the drawings for non-commercial purposes, it is also allowed for the website Arab cartoon house promote the participated works in the website and social networking pages. to more than one cartoonist. Results announced on 20 September at a special ceremony called "cultural day for Palestine", which will be held in the Jordanian capital. Participation is allowed only for registered members only. Please note that each member can use the form only once, so please review the full processing before sending the form. 2 - Open to participation by all graphic artists with humor, professional or amateur. 4 - Each artist can submit via e- mail in digital format (300 dpis A4 ) up to 4 works in black and white (one color - not accepted drawings 2 , 3 or 4 colors ) , open to all technical and styles as caricature, cartoon, gag cartoon, strip, plank bd (a single story board)... and they should be accompanied with information of name, address and email . The jury, at its discretion may award " Special Awards " , the honorary title , complete with trophy. 6 - The jury grants the right to make a selection of the best work to expose the available space and editing catalog ( which will be sent to all artists with work reproduced ) . 7 - The organization inform all artists by email if you have been selected for the exhibition and catalog, and what the winning artists . The work awarded compensation, are automatically acquired by the organization . 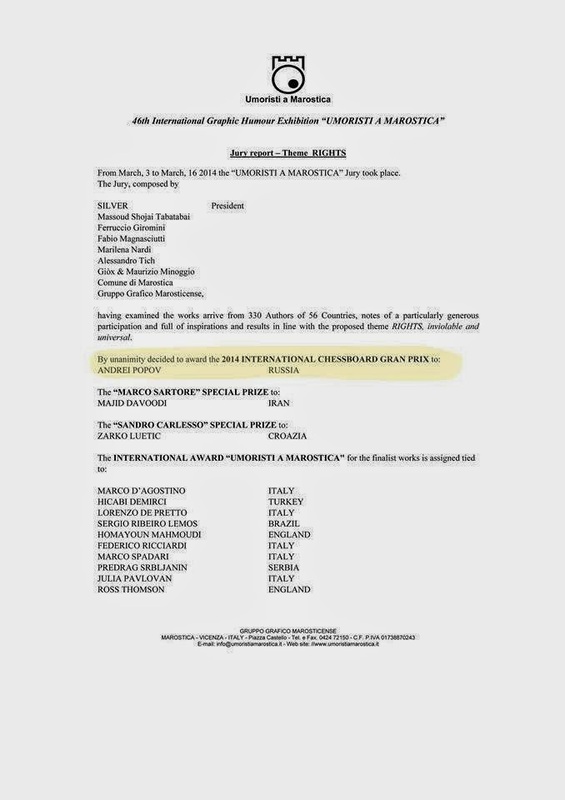 The originals of the works awarded shall be delivered to the organization (the original work done in the computer is a high- quality print on A4 , signed by hand and numbered 1/1 ), because without such delivery , the prize money will not be unlocked. 8 - Reproduction rights are owned by the organization , as soon as promotion for this organization , and individually discussed with the authors , in the case of other uses . 9 - For further information contact the Artistic Director : Osvaldo Macedo de Sousa ( humorgrafe.oms@gmail.com ) or IV Biennial of Humor Luis d' Oliveira Guimarães , Sector of Culture , Municipality of Penela , Town Hall Square , 3230-253 penela - Portugal . 10 - The Fourth Biennial of Humor Luis d' Oliveira Guimarães - Penela 2014 takes place 6-21 September at the Municipal Library Penela, extending to the National Center Comics and Image of Amadora (Lisbon) 25 September to 19 October. Humanity is going through a crisis of values expressed in different actions or reactions in many of our daily life aspects. 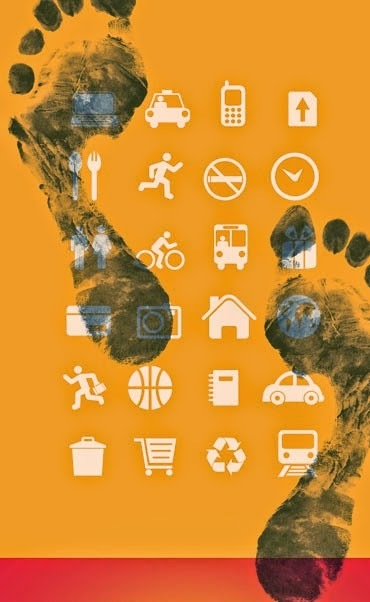 This is particularly evident in urban life, when violence menaces the physical and spiritual integrity of each and every one of us, contributing to the pollution of our ecosystem, a fact that is becoming more complex and global. 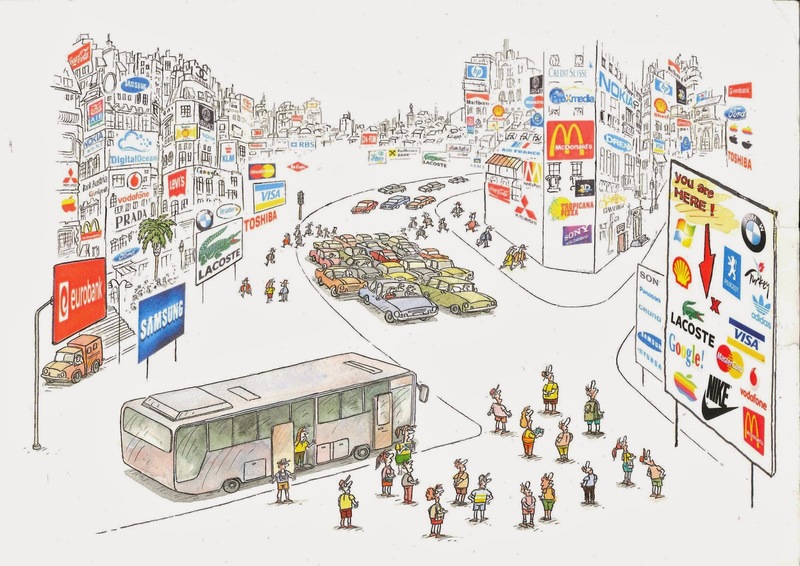 MAS Magazine of Trujillo, Peru, and Carpa de Tinta publisher committed to the society and the environment, in the midst of the anguish and fear that overcome our cities, seek to awaken our consciousness against this situation, from a catalyst language and readable universally: the CARTOON. 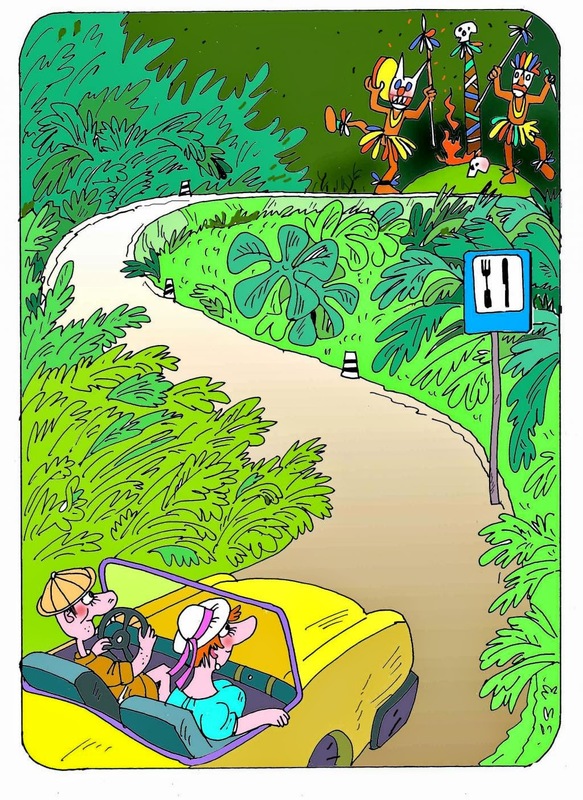 For this reason, from northern Peru to all continents of the Pachamama, we convened LA SONRISA MOCHE International Cartoon Contest, with the theme PUBLIC SAFETY. An event that also brings as jury outstanding exponents of National and International Cartoon, who will share their professional experiences and the approach they take when illustrating similar topics. We invite you to participate with the warm welcome of Trujillo people and all Peruvians. 1. All illustrators and graphic humorists who live in any part of our Mother Earth, amateurs or professionals, from 18 to 120 years old, of any marital status, religious or sexual militancy may participate. Members of the Contest Organization, or MAS or Carpa de Tinta publisher team may not participate. 2. Each participant may submit a maximum of 3 illustrations without dialogues or parliaments or text balloons. PUBLIC SAFETY, an urban social factor rundown in many of the cities is been designated as the topic on which works should be inspired. Works may or may not have achieved any consideration or prize in other similar events, but the individual sending them must have the authorship. It means, copies and/or plagiarism detected by the jury will be disqualified immediately (the story of the secretary’s mistake or tribute to a particular person, not worth). 3. The technique is completely free, in color or black and white, and the submission will be digital, it should be in 21 cm X 30 cm, in JPG (horizontal or vertical) format, in RGB colors, in high resolution (300 dpi). The file name will be the title of the work. 4. The submission of each illustration should attach a Word document containing the title of the work, the author's name, email, phone, address, and country of origin, as well as a brief CV of no more than 10 lines, a photo or personal caricature and a miniature of the work. HONORABLE MENTION (which the jury deems appropriate) diploma. 7. The jury will be composed of prominent and experienced national and international professionals, most of them awarded and/or former juries in countless similar contests. The jury's decision shall be final. 8. If after the jury's decision, is still detected that any of the work, awarded or not, it is plagiarism or copying from another work, the author or authors will assume all legal responsibility that the situation demands them. 9. By participating in this contest, the author accepts all the conditions mentioned in these rules, and assigns the rights of the illustration to the Contest Organization for use in various publications related to LA SONRISA MOCHE International Cartoon Contest. carpadetinta@gmail.com ; pepesanmartin@revistamasperu.com ; www.revistamasperu.com . The Budapest based TUNEL KFT will celebrate its 30th anniversary in 2015. Supposing there was no notion for civil engineering it would surely have been named after our company! We just love laying pipes, digging deep into the ground and moving big quantities of earth. Our excavators have unearthed archaeological sites, WW II bombs and high pressure gas pipes previously laid, which we may call breaking news in our line of work. Our work is signalled by road blocks, traffic jams and nervous breakdowns. Still everybody is happy when we finish the job! Despite the unpleasant side effects, we eventually bring a better and higher quality life to people. 3.) Deadline for entries: 30 June 2014 (EXTENDED:) 10 JULY 2014 23.59 h. 5.) Participants whose works are selected by the jury for the catalogue will receive a copy via post. 6.) By entering the contest, the participants accept that any decision made by the jury is not negotiable. - in the free publishing for the 30th anniversary of TUNEL KFT, which has no commercial use. 8.) For the gallery of cartoons and for any other information visit https://facebook.com/tunelkft. This year is an exception ... It is to honor the late theatre and T.V. star Nidal Sijary. Nidal Sijary is the sincere, the friend, and the compassionate who loved and was loved by people. He was this talented actor who drew the smile on the face of every simple person. Nidal Sijary passed away after being defeated by death. His illness had caused him to lose his voice. He said “I was betrayed by my vocal cord so I extracted it…I plead you not to betray your country.” The theatre has moaned his loss … and the curtains drew to a silence. 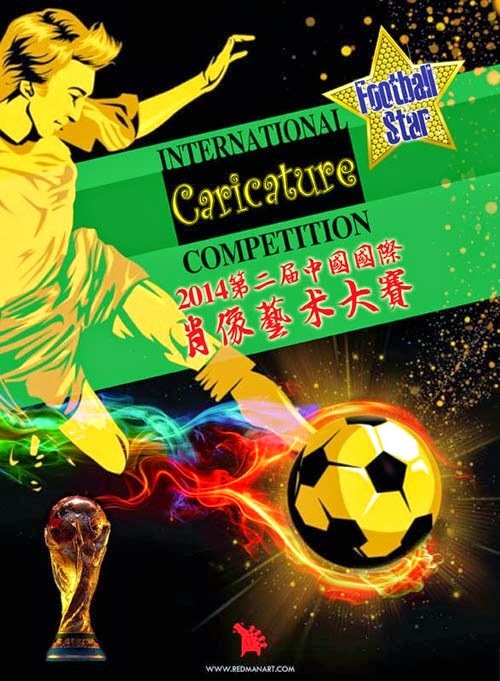 You are invited to participate in the Ninth International cartoon contest 2014. • 3 cartoons max, A4, 300 dpi, JPG/JPEG and free techniques. • Jury members will be considered as participants in the exhibition and represent their own countries. Their names will be automatically added to the List of Participants (They will participate only in exhibition, not in contest (just honorary participation). • Cartoons can be used for any promotion purposes (Printing, websites, Newspapers, posters, invitation cards....etc) without the permission of the artist and without any payment. • Cartoons must be sent to the new e-address: syriacartooncontest2014@gmail.com along with Artist’s recent C.V, address (doc format), and personal photo.